Since its arrival, Market Square Shopping Centre has become Mallow’s favourite shopping destination with something for all the family. With a great selection of stores including Swear by Fashion; Mods & Minis; Little Piggy’s Shoes for Kids; Heatons; Dunnes Stores; Lifestyle Sports and The Mart, shopaholics are well catered for. After all that shopping visitors are sure to have worked up a hunger or a thirst so there is something to satisfy all tastes with Subway; O’Donovan’s Off Licence and Costa Coffee to choose from. Families can enjoy some quality time together at Market Square, and what better way than a visit to The Gate Cinema Mallow, where they can see all their favourite movies and the latest releases. 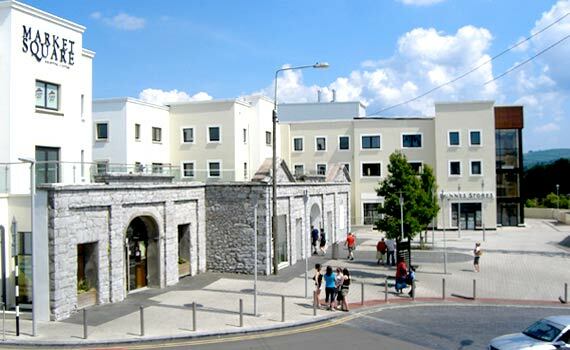 On top of all that Market Square Mallow boasts over 450 FREE car parking spaces, in a secure underground car park.